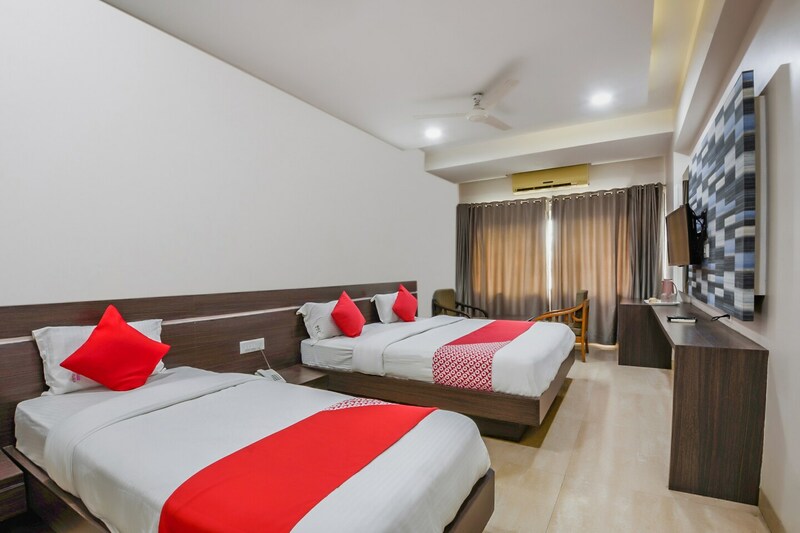 Hotel Kohinoor is a modern, budget property with spacious rooms and located on the Aurangpura Samarthnagar road in Aurangabad. The hotel is close to a number of banks, ATMs, and markets. The hotel has an in-house restaurant and a stylish bar. There is a rooftop dining space as well. A banquet hall and conference room are also available. The rooms are spacious, simply furnished and well-lit. The bathrooms are modern and neat. Each room comes with amenities like free Wi-Fi, AC, and TV. Power backup, parking, CCTV security, and laundry services are provided here. That Baat, Bhoj Restaurant, D' Curry House, Mokoholic Juice Bar and Blue Cilantro are a few of the restaurants that are located close to the hotel.